Remember when finding a new recipe meant buying or borrowing a cook book? These days we encounter recipes in all corners of our digital world – including Twitter. 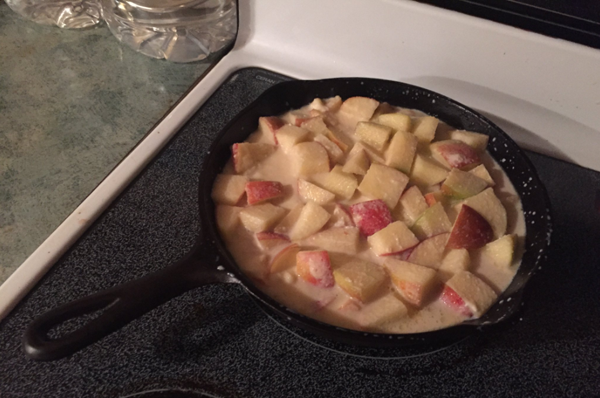 We recently spotted a series of tweets by Ed Pawley that walked his followers through his overnight Ambrosia apple dessert experiment. 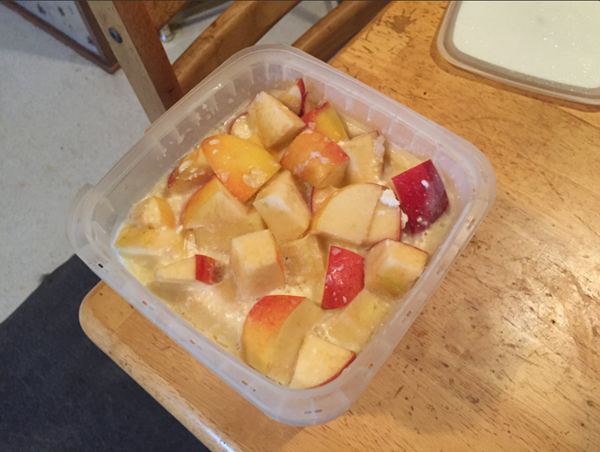 It calls for marinating Ambrosia apple cubes in a combination of whole milk, honey and a dash of lemon. Interestingly, a milk and honey marinade is commonly used to tenderize meat. You’ll find the practice in many cultures and on proteins ranging from chicken to lamb. We have no idea what inspired Ed to give his apples a bath! He let them sit in the mixture for a full 24 hours. Next, he fried them up in a cast iron pan and let them reduce down. The smell must have been amazing in his kitchen that day! Finally, he plated it and dusted it with some confection sugar. And if that doesn’t already have you drooling, take a look at the pictures. We’re sharing his Twitter recipe here with his permission. Ed says he’s still perfecting the recipe and promises to post his updates on his Twitter account. We’re all for cooking experiments when they’re this tasty. What else would you add? Some walnuts? Maybe try a marinade of yogurt instead of milk to make the dessert even more creamy. There are so many options! 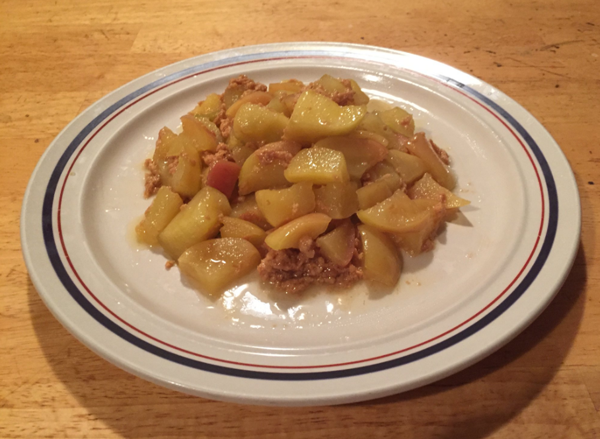 We always love to hear how Ambrosia apples are being used in recipes. That’s one of the reasons why we’ve run recipe contests in the past. Those recipes are now available in a FREE eBook – click here to get your copy and add it to your cook book digital collection or print it out and put it in the kitchen library.